GR. CH. 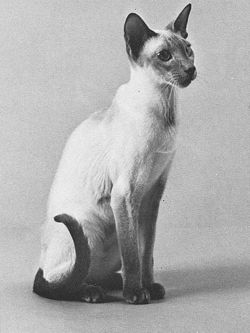 TAP-TOE SONERO, seal point Siamese male, was born May 16, 1967 and was to become one of the great Siamese sires of all times. 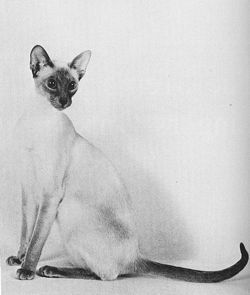 In the short 6-1/2 years of his life he was to father over twenty grand champions and to appear in the pedigrees of countless other great and famous Siamese. There's always a story behind any cat and so it was with Sonero. With the arrival of a son to the Dzbanski family, the routine as far as cats were concerned, had to be altered slightly. Tap-Toe cattery went into a semi-retirement phase until their son was old enough to join forces with "Cat-dom". A few years prior to Sonero's birth, a blue point boy, Tap-Toe Willero was placed with Mai-Ed Cattery with the understanding that when the time arrived where showing could return to the Dzbanski family a blue point kitten would be returned from Willero. When that day arrived, the litter was without a blue point kitten. Tap-Toe Cattery had always specialized in blue points and lilac points, and now a seal point kitten was to arrive from Willero's litter-Mai-Ed Danero of Tap-Toe. Little was it known that this boy was to father Sonero and to also become one of the all time greats himself. 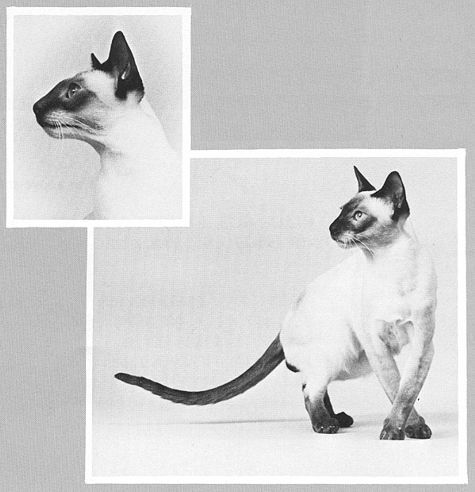 As a kitten, Sonero was extreme with regard to all parts of the Siamese standard and his type was stunning. 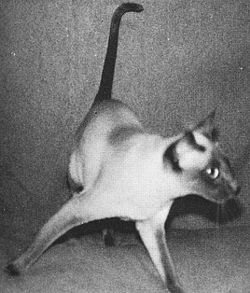 As a kitten in the shows, he was very successful and was named Best Siamese Kitten by the Siamese Cat Society. As a Novice, he was equally successful and received a Second Best Cat award by Judge Kay McQuillan. 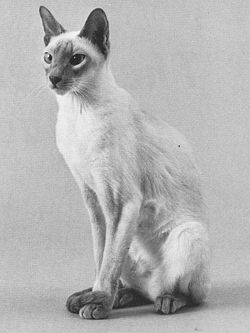 To achieve the title of Grand Champion, Sonero competed in only three shows and very proudly carried home his wins that were to earn him Best Seal Point Siamese and Third Best Shorthair Male in his region for the 1967-1968 Show Season. 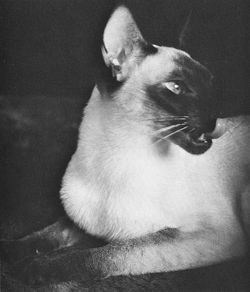 Sonero's contribution to the Siamese breed has proven to become an endless story. 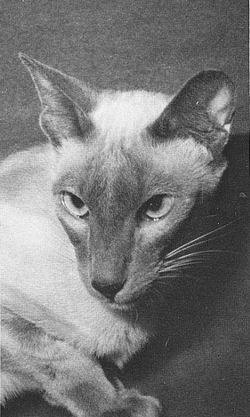 He was described as a striking example of the breed with long, delicate lines; good color, long head with an extremely oriental eye-slant and a perfectly proportioned and balanced body. As it is with so many of the great cats, Sonero's elegance rose to its peak after his retirement from the show ring. As a pet, he was gentle and felt that he wasn't a "cat", but instead was a human being. He loved his owner dearly and showed this devotion until the very end-a tragic end that occurred in December of 1973. There's something sad in the death of a great cat-no matter what breed you're involved in. Tendencies to reminisce and to dream of "what could have been" always linger on in the hearts of those who really cared. The year following Sonero's death was probably the year in which the greatest tribute of all was paid. Four of his children honored him with top wins. 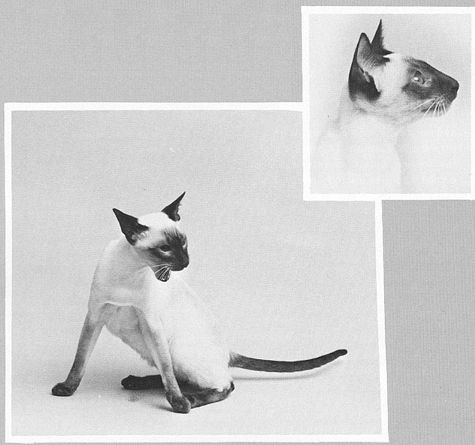 Grand Champion Tap-Toe Toya, blue point daughter of Sonero, was CFA's Best Blue Point Siamese for the 1974-1975 Show Season. She also won top honors in her own region-Tenth Best Cat, Sixth Best Shorthair, Best Siamese and Best Blue Point Siamese. Toya's sister, Grand Champion Tap-Toe Crystals was the Great Lakes Region's Best Lilac Point Siamese. 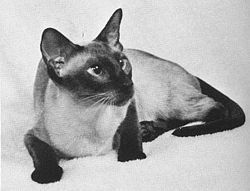 In the Southern Region, Grand Champion Hutzler's Miss Cellany of Susan was Ninth Best Cat, Fifth Best Shorthair, Second Best Siamese and Best Seal Point Siamese. 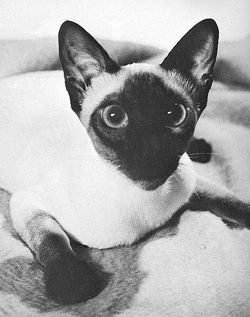 As a kitten in the 1973-1974 Show Season, Miss Cellany had been the Southern Region's Third Best Kitten and Best Shorthair Kitten. Grand Champion Tap-Toe Darlena of Royal Points, blue point daughter of Sonero, carried home the Southern Regions's Best Blue Point Siamese award. Grand Champion Tap-Toe Daneta, sister of Sonero from a repeat breeding was 1972-1973's Great Lakes Best Blue Point Siamese. Grand Champion Serendipity Sock it To Me, great granddaughter of Sonero was Best CFA Chocolate Point nationally in the 1973-1974 Show Season. 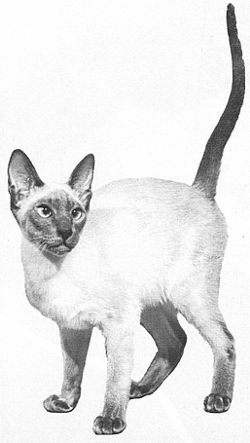 In an almost repeat performance, Grand Champion Serendipity Tan Terrific was CFA's Best Chocolate Point Siamese in the 1975-1976 Show Season. Tan Terrific was also CFA's Best Shorthair Male Kitten. Other noteworthy children included Grand Champion Tap-Toe Repetto, a half brother of Sonero. Repetto was Best Seal Point and 5th Best Shorthair in the Northwest Region for the 1971-1972 Show Season. Among his many wins, Repetto was Best Cat in the Santa Monica Best of the Best Ring in September 1971. 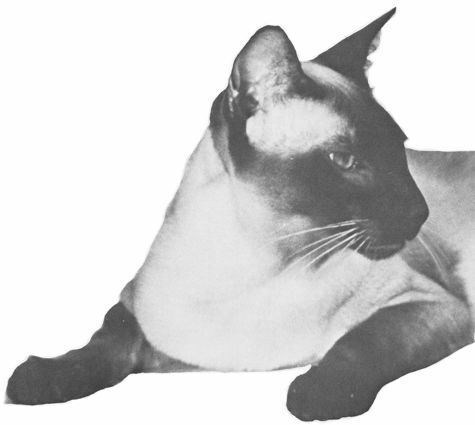 Grand Champion Karnak Carioca, granddaughter of Sonero was the 1974-1975 North Atlantic Region's Best Blue Point Siamese. All the many grands produced by Tap-Toe Sonero are listed in CFA Yearbooks-it would be an impossible task to list the number of grands who have Tap-Toe Sonero behind them. It would only be fitting that a cat so magnificent would have to be owned by an equally magnificent lady of the Cat Fancy-Lydia E. Dzbanski. The song has indeed ended; but the melody truly does linger on.